PM Netanyahu welcomes appointment as Secretary of State of Mike Pompeo, known for his opposition to Iran deal. Prime Minister Binyamin Netanyahu on Wednesday welcomed the appointment of Mike Pompeo as U.S. Secretary of State. "During my meetings with Pompeo I was very impressed with his abilities and experience. I believe that in his role as Secretary of State we will also work very well together," Netanyahu said in a statement. 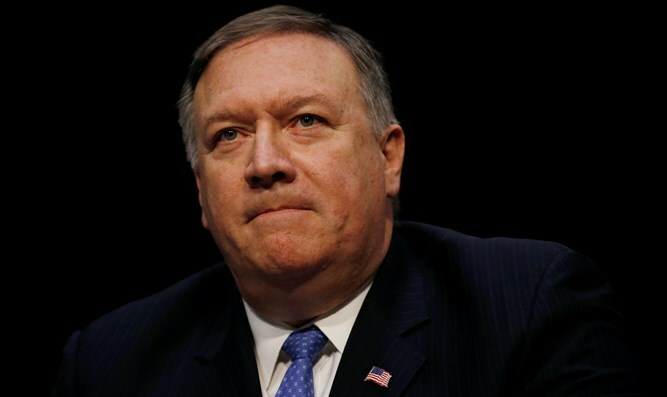 President Donald Trump named Pompeo, who previously served as head of the CIA, as the replacement for Rex Tillerson, whom he dismissed on Tuesday. Pompeo has in the past criticized the 2015 deal, which Netanyahu also opposes. In October, he said the nuclear deal is insufficient in ensuring the Islamic Republic has no pathway to developing a bomb. The comment came after Trump adopted a harsh new approach to Iran by refusing to certify its compliance with the deal. During his time as a Kansas congressman, Pompeo was among a group of American lawmakers who introduced legislation which would have prohibited then-President Barack Obama from providing Iran direct or indirect access to the U.S. dollar or the American financial system.